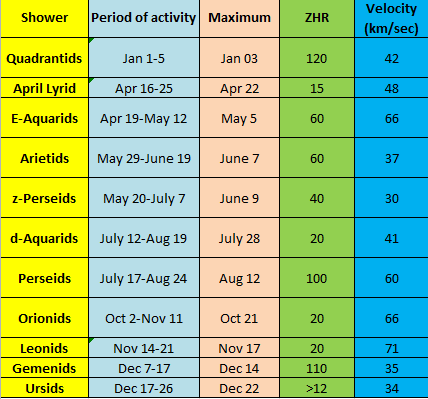 There are some main meteor showers during the year which we radio amateurs could use for making contacts because they are so productive. Those showers will come year after year at the same time. Here is a table of them.